ATLANTA, July 31, 2018– Miles Mediation & Arbitration neutral, Gino Brogdon, Jr., Esq. was recently selected a ‘2018 Attorney to Watch’ by Atlanta Attorney at Law Magazine. 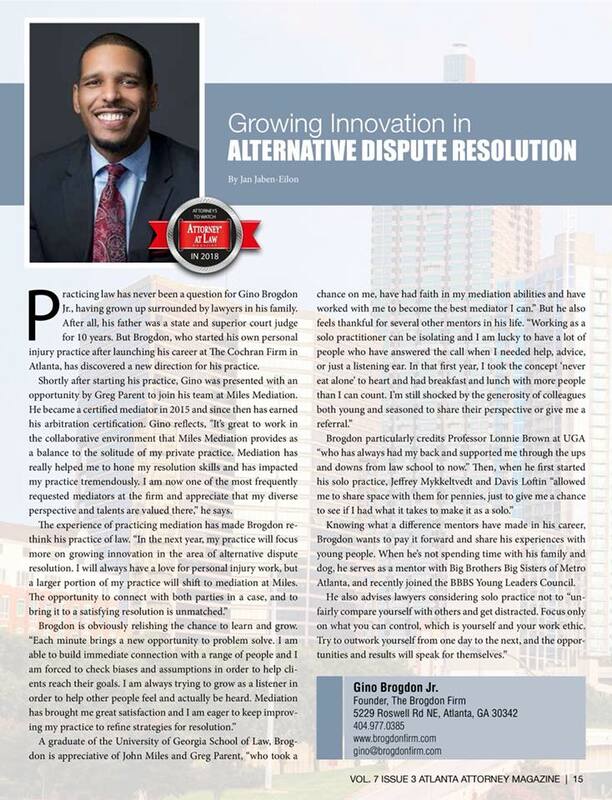 Click here to read Gino’s interview in Atlanta Attorney at Law Magazine. Click here to view Gino’s calendar and bio.